Madison is one of the best markets for late-night food. Our town has a great night life scene and when bar close rolls around, those people are hungry. There’s quite a few options for a tasty slice late at night. Here’s a list of some great places to get Madison’s favorite drunk food. When you think of pizza in Madison, Ian’s is the first place that comes to mind. They have two locations downtown, one on State and one closer to campus on Frances. They boast a fun, casual atmosphere with late-night hours. Coupled with my personal favorite slice in town, that’s a winning combination. Variety and the unexpected are key to the Ian’s brand, mixing classics like BBQ Chicken and Mac and Cheese with unexpected flavors like Baked Potato Ranch, Bacon Cheeseburger, or Crab Rangoon. One of the newest players in the Madison pizza game is Lotsa Stone Fired Pizza. They have a bit of a different model for pizza, one I like to think of as Chipotle for pizza. You get to custom make your pizza, choosing everything that goes on it from a vast array of sauces, cheeses, meats, and veggies, and then it is stone-fired before your eyes. It tastes great and is custom-fit to every customer, and open until 3AM as well. Toppers is far and away the best delivery chain in Madison. 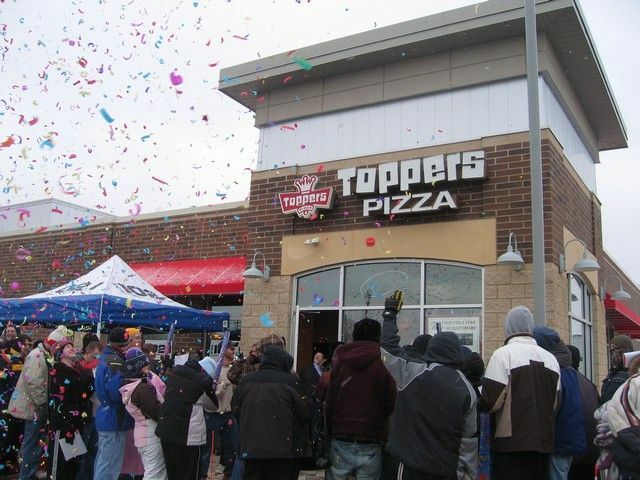 Toppers was literally made for college students: it was started as a late night pizza option for students in Whitewater, Wisconsin. Famous for their delicious pies and Topperstix, they deliver until 3:30 AM and provide great service to boot.